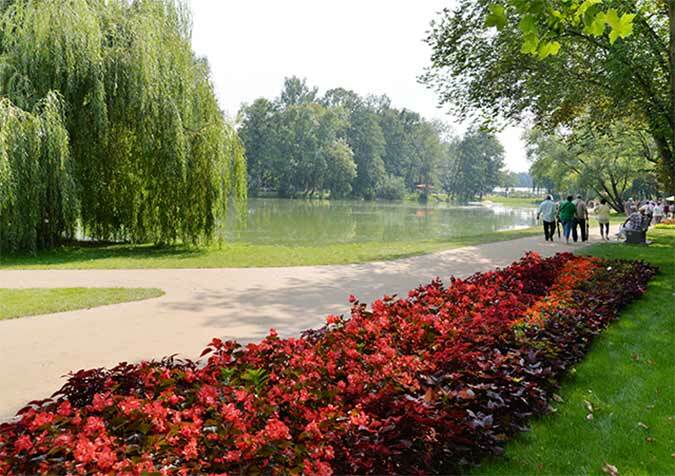 The state garden show in Apolda invites the visitors to walk along three walks through the historic park. The walks within the restored park and their accompanying planting designs thematically revisit the tradition of bell founding and textil design, both very important trademarks of the city Apolda. 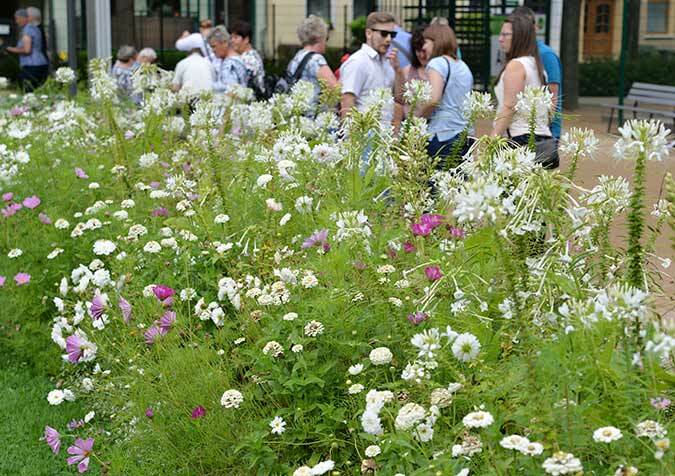 The concept of the planting design links the skills of the bell-founders and the textile designers with the skills of a gardener. Both gardener and bell-founder work with natural materials. Since its beginnings, the craft of working with natural materials such as clay and soil didn’t really change, as well as the craftsmanship of the textil designer. Fabrics out of cotton and silk still are very popular and sought-after. The carpets of flowers, designed and planted by the gardeners, do not arise by themselves. There is more to it than meets the eye. The designs need to be thought of, formulated and drawn. 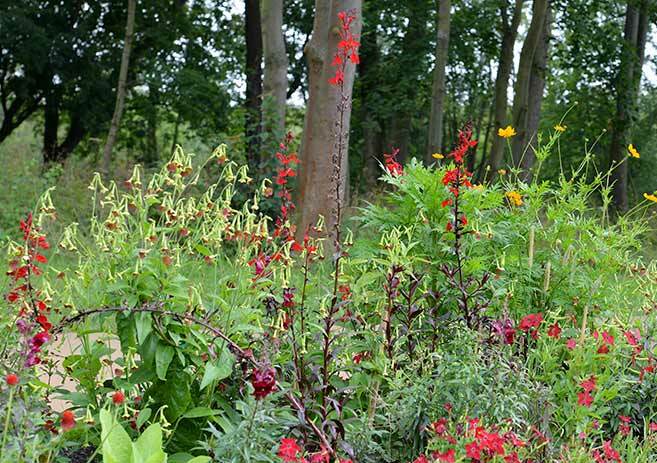 Also, the plants which are used in the designs, are well cared for up to several weeks. Like finely woven fabrics, the plants are carefully placed and planted into the different designs. 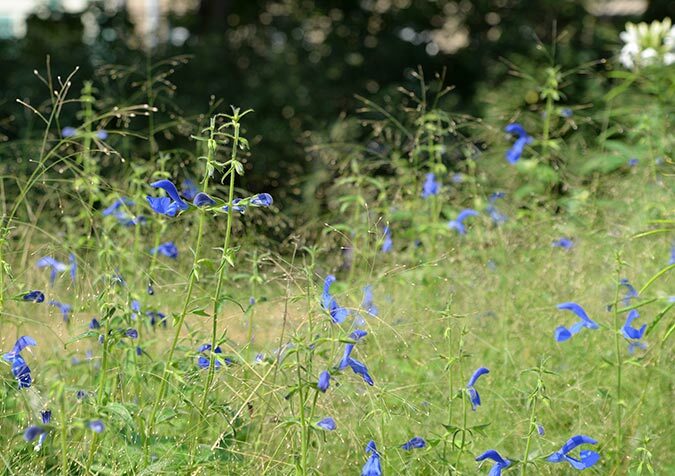 During the walk through the park, planting designs with the names “bell“ and “fabric“ will appear along the paths.